The idea for this style of holiday sprang up years ago when farmers’ wives or Irish Mammy’s with extra rooms, opened up their houses to paying guests during the summer holidays. Which I am told put many sons and daughters through University, even if it meant their own kids had to sleep in the attic! You could roll up of an evening, wherever you saw a B&B sign with a vacancy (you still can) and get a reasonable priced bed for the night and a hearty breakfast the following morning, often in wild and beautiful places. Basically, you became one of the family, sharing home-cooked meals and sampling what Irish rural like was like living on a farm, that you wouldn't obviously experience in an hotel, not that there were too many hotels in remote locations 50 years ago anyway. But, gone are the days of shared bathrooms and revolving bedrooms, Irish guesthouses these day have to be Bord Failte approved (and are inspected annually) to make sure they have the highest standards of hygiene and accommodation, while remaining true to their roots of staying with an Irish family. 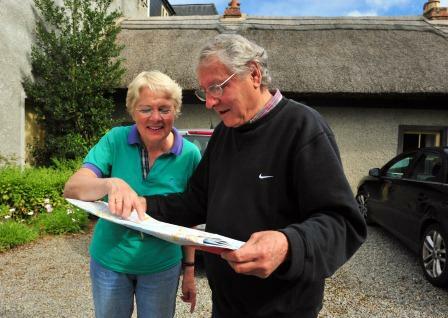 This kind of holiday is certainly not for everyone, many like the anonymity of staying in hotel, but if you want an insight into what it is really like to live in a rural or coastal community in Ireland than you should definitely try at least one or two. Speaking of which, you will often your hosts pouring over maps with their guests, after breakfast, pointing out best local attractions, nearest walks, picnic spots, deserted beaches, pubs to have lunch in or where the best traditional music is going to be that night? This kind of information is priceless, no paper guide or website could ever keep track or keep up with what is happening this weekend say in Ballydehob or Falcarragh, but your hosts will, that's for sure! 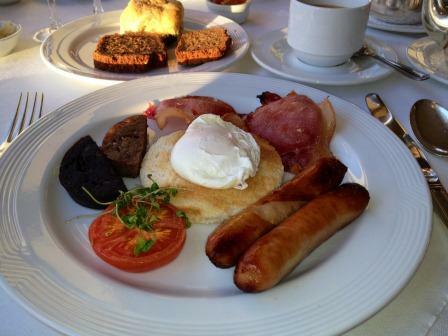 Unfortunately though, not all bed and breakfasts are created equal, which is why I have created a Ready Made Bed & Breakfast Package which includes a flexible touring 7-10 touring guide to Ireland and a range of the best bed and breakfast accommodation at each location for you to pick and choose from depending on your taste and budget. 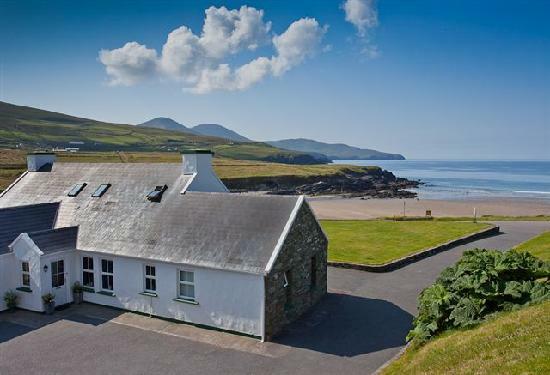 Locations include Dublin, Galway, Connemara, Westport & Sligo, Clare, Dingle, Killarney, West Cork, Kinsale, Waterford and Kilkenny. All these bed and breakfasts have been hand picked for their charm, quality, price and above all genuine Irish hospitality. You won't find any 1970s style bungalows here with flowery wallpaper, frilly curtains, dodgey beds and miserable showers. Some are purpose built, all are Bord Failte approved and many extra special manor homes, country retreats or fantastic seaside properties with wonderful views. Many of them truly are Hidden Gems in their own right and reallyn nice affordable places to stay, indeed you will probably feel like one of the family, as lifelong friendships are often forged with generations revisiting time and time again. A day by day itinerary for the first 7 days in Ireland which includes all the best things to do and see in Dublin, Galway, Connemara (Kylemore Abbey), Clare (Cliffs of Moher), Killarney (the Ring of Kerry) with an option on Dingle, Waterford or Kilkenny City. A day by day itinerary for 10 days which includes an extra 2 days in either Sligo (Yeat's Country) and Mayo (Achill Island) and (Westport) or West Cork (Beara Peninsula, Bantry House, Mizen Head) and (Kinsale) with a night each in Waterford and Kilkenny. A personal selection of the best quality accommodation at each location for you to choose from at your leisure which includes pricing and special offers. A flexible daily itinerary to include the most scenic routes, historical cultural / traditional visitor attractions in each area including castles, stately homes, gardens, sacred places, museums, galleries as well as some extra special Hidden Gems such as holy wells, fairy forts, dolmens, secret beaches and woodland walks. Daily recommendations on the best places to have for lunch, pints of Guinness, bowls of chowder, tea and scones or coffee and cake stops. Evening restaurants and traditional music pubs and nightly entertainment. Also included is a free information pack which includes All you need to know before you go re booking flights, car rental, driving in Ireland, the weather (what to pack) currency (atms and credit cards) advice on tipping,voltage, mobile phone usage / wifi coverage/ (chargers) as well as all the latest tips, tricks and shortcuts that you might find useful while travelling in Ireland. And the price, just €99 which is a fraction of the cost of having a Tailor Made Itinerary created especially for you which is always another option, of course. You can pay via the Paypal at the links below and once payment is completed you will then be redirected back to Ireland's Hidden Gems, where a pdf file will automatically be made available for you to download. It's a fairly hefty file so please be patient, it will be worth the short wait I assure you! To purchase the Bed & Breakfast Package please select the following option.